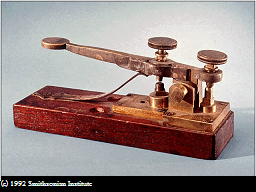 The speed improvement in cross-Atlantic communications by the invention of the telegraph in the mid-1800s was a factor of around 2500 over the steamship. The lesson? Often, the biggest impact comes from the earliest technological advances, and the latest offer only diminishing returns. However, sometimes the latest inventions have large, unintended effects which turn out to transform the world in unexpected ways. Likewise, if we look to improve law firm performance by implementing more technology, we are likely to see diminishing returns over the original effects of introducing computers and telephones. Look to introduce new products, services and business models that could not be offered (or at least not offered economically), built on the back of technology. Reinvent yourself, don’t just improve.